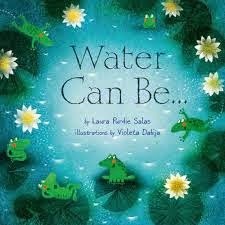 Water Can Be has received starred reviews from Publishers Weekly and Kirkus Reviews. See CSS Reading Guide and Teacher's Guide. See more tie-in resources. Laura and Lisa Bullard have also released a new e-book, Getting Published: How to Access Editors (A Children's Writer Insider Guide from Mentors for Rent).